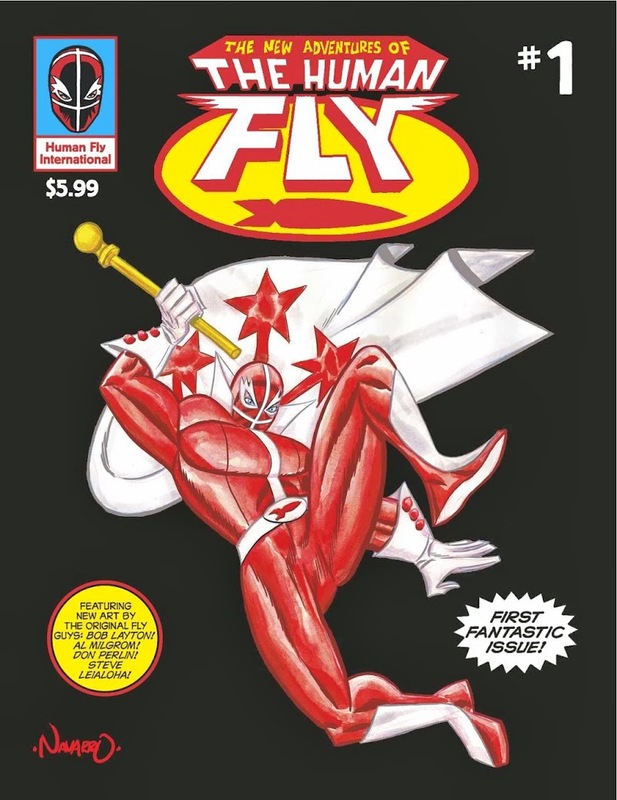 WHILE this American anthology is a little rough in patches, old fans of the Human Fly comic from the late 70s will get a blast from its revival, courtesy of my old chum Michael Aushenker. 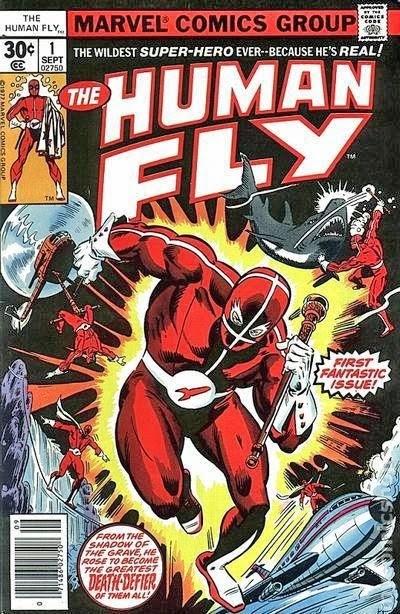 The Human Fly started out as a masked Canadian stuntman, but got international recognition in a short (19 issues) series put out by Marvel. 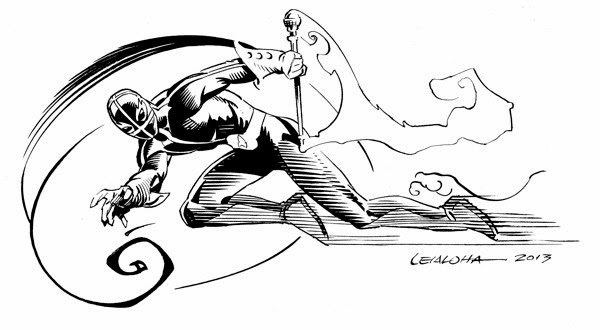 It was written by Bill Mantlo and illustrated by Frank Robbins and Lee Elias (pencils) and Frank Springer (inks). Now, there are plans afoot to revive The Human Fly in a new movie. Coinciding with this is this annual 60-page publication. The highlights of the book (which actually came out last July so shame on me for being so goddamn late with this review) are pin-ups by Marvel veterans Bob Layton, Al Milgrom, Don Perlin and Steve Leialoha. 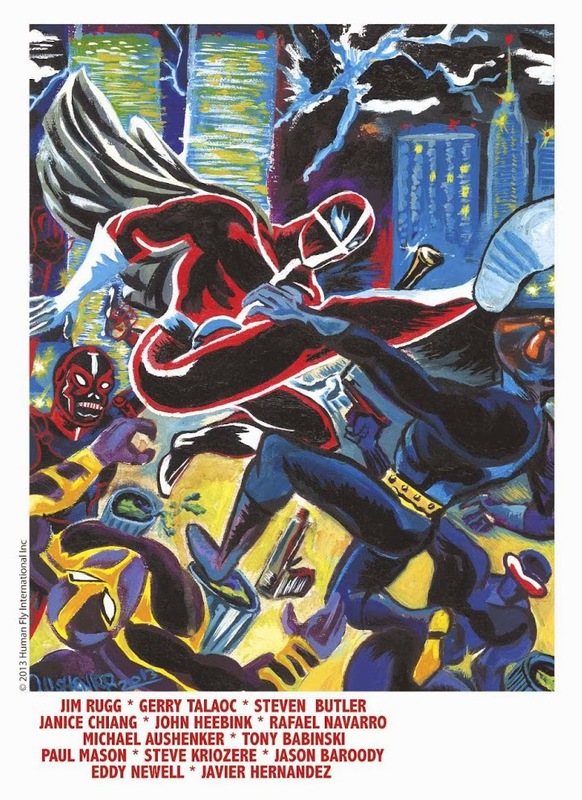 Aushenker handles the bulk of the writing (plus art in the lead story) and the book features artwork by such indy talents as Rafael Navarro, John Heebink and Aussie Paul Mason. It's a labour of love and a delight to read. If I only have one bugbear it's the fact that the tone of the book wavers from wacky sci-fi adventure to grim murder mystery to the idea of the Human Fly being born from a very human tragedy. The different storytelling styles jar a little, but that's my only complaint. I heartily recommend this delightful book, and I look forward to reading this year's edtion. 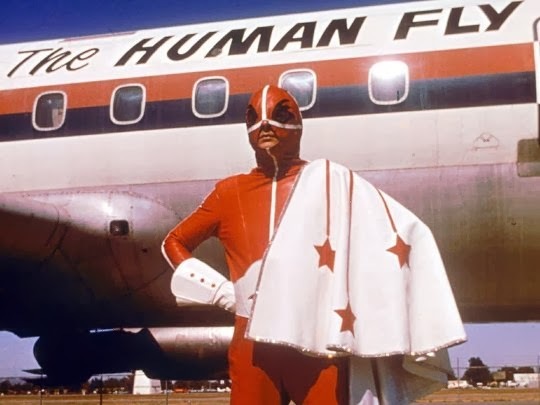 Find out about the original Human Fly, the proposed movie project and his comic book past HERE. 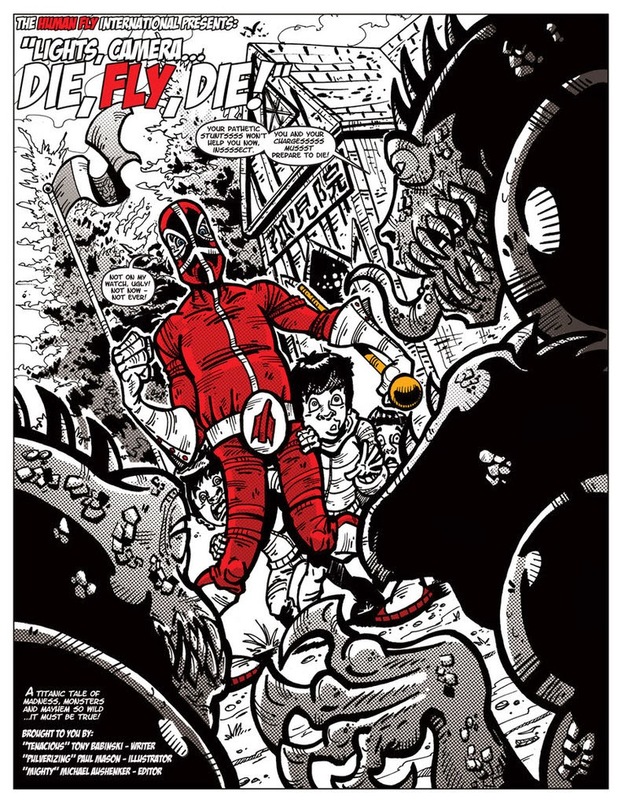 You can order The New Adventures Of The Human Fly #1 HERE.